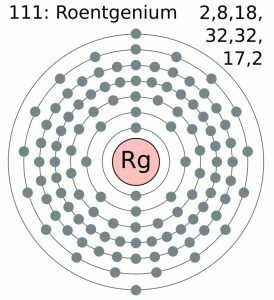 A synthetic radioactive element, roentgenium (pronounced as runt-GEN-ee-əm), also known as unununium, is denoted by the symbol Rg [1, 2]. It is not found naturally and is only produced in the lab under controlled circumstances. It is named after Wilhelm Conrad Röentgen, the German physicist and mechanical engineer who first observed X-ray beams [1, 2]. 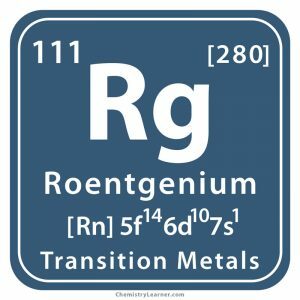 In 1994, at the GSI Helmholtz Centre for Heavy Ion Research in Darmstadt, Germany, Peter Armbruster, Gottfried Münzenber and their team bombarded atoms of bismuth-209 with ions of nickel-64 using a linear accelerator to produce three atoms of roentgenium-272, having a half-life of 1.5 milliseconds, along with a free neutron [1, 2]. 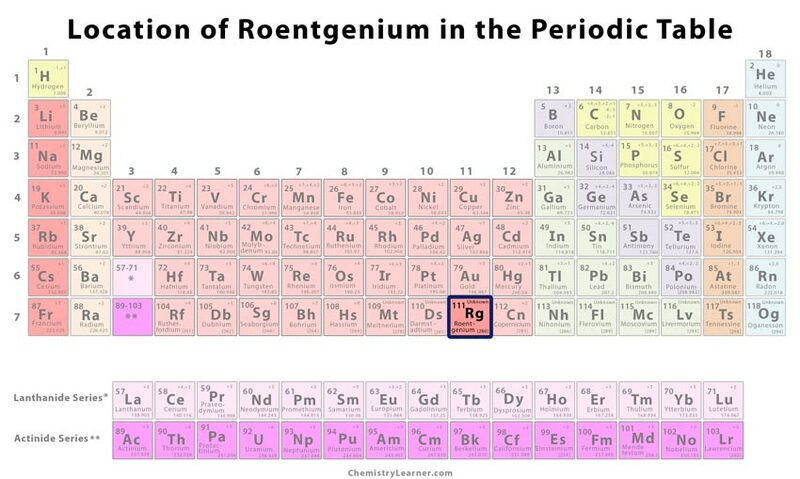 Although seven isotopes of the metal have been synthesized so far, roentgenium-281 is the most stable one with a half-life of 26 seconds after which it decays to meitnerium-276 through spontaneous fission [1, 2, 7]. Since it is not found in the environment and is also quite unstable, there are no industrial applications other than being used for basic scientific research. 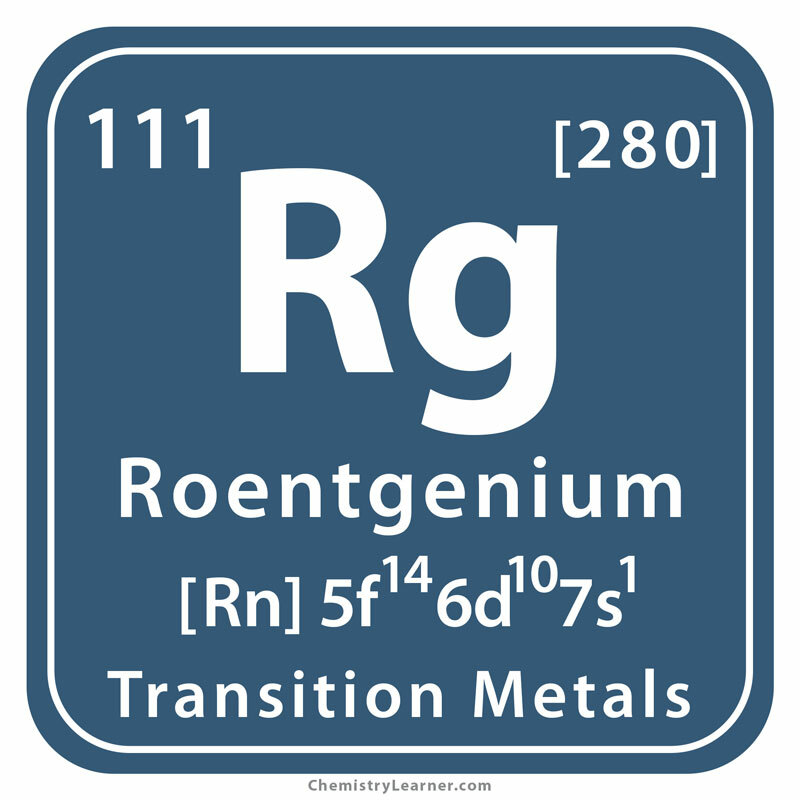 As only a few atoms of the element have been produced, its reactivity with other elements and compounds is unknown . 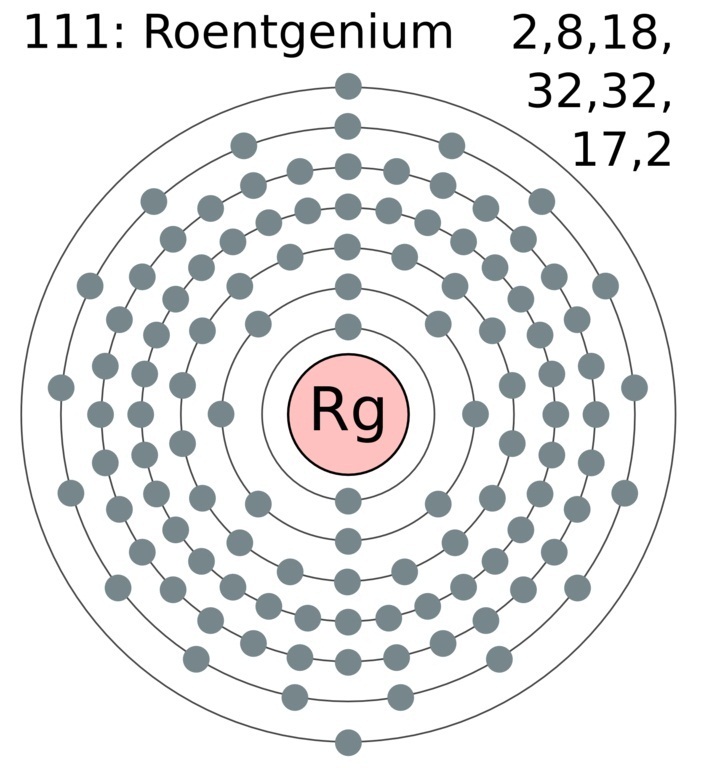 Although the short half-life of Rg does not provide much scope to study its effects on the environment and health, it may be toxic due to its radioactivity when produced in more significant amounts . The short half-life of the metal does not make it commercially available even today.